If every year in the future flies by as quickly as 2016 has for me, I am going to go buy a burial plot and cheap suit for Christmas. Outside of 2008, it has been one of the craziest years I can remember in my career. I suppose I can blame a somewhat bizarre Presidential campaign for part of it. The mealy mouthed Federal Reserve also gets some blame. Finally, I have two teenagers, and I will leave it at that. However, where the rubber meets the road, from a pure investment standpoint, the emerging markets have been the biggest surprise for me, or least the returns in emerging market stocks. After all, there has historically been a very strong positive correlation between developed and emerging market returns. 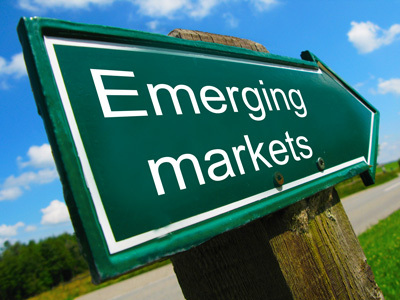 Certainly, the emerging markets are more volatile, but the return direction is ordinarily the same. Now, the emerging markets had something really going against them in 2015, namely a surging US dollar. This means money is flowing out of other markets and into ours, making foreign currency denominated securities less attractive in relative terms. Further, a strong dollar usually leads to lower commodity returns. Since many emerging economies are heavily reliant on natural resources, 2015 was a disastrous year, just disastrous. Throw in a slowing grower China, and, it was a recipe for disaster. But, that was 2015.